This guide will help you to plan ahead to avoid a benefit sanction where possible, and if not, will help you to work out what to do about it. This guide is for you if you want to avoid getting sanctioned, work out what to do about a benefits sanction, or understand more about how the benefit sanctions system works. If the Department for Work and Pensions (DWP) thinks that you have not met the conditions for your benefit, they can reduce or stop your benefit for a period of time. This is called a ‘sanction’. The sanction system is different depending on which benefit you get. In this guide we focus on the sanctions that you can get if you claim Universal Credit, but the techniques for dealing with sanctions will also be useful for Job Seekers Allowance and Employment and Support Allowance sanctions. We try to explain any technical or unusual terms as we go along, but there is also a What does it mean? section at the end. What countries does this guide cover? The information in this guide applies to England, Wales and Scotland. It will also be useful for people in Northern Ireland where the rules are mostly the same. The main differences relate to the names of things, which, to try and keep things simple in this guide we have not highlighted all the way through. Please bear in mind that if you are in Northern Ireland it is the Department for Communities (DfC) rather than the Department for Work and Pensions (DWP) and the Northern Ireland Courts and Tribunal Service (NICTS) rather than Her Majesty’s Courts and Tribunal Service (HMCTS). Other key differences will be mentioned as we go along and in What does it mean? at the end. A benefit sanction is what the DWP calls it when they reduce or stop your benefit payment for a period of time. This might be because they decide, for example, you are not actively seeking work, you missed a work-focused interview, or some other reason. The benefits system is a bit like a contract. The government expects people claiming benefits such as Universal Credit (UC) to meet certain work-related conditions which are set out in your ‘Claimant Commitment’. The government pays benefits in return for you doing what your Claimant Commitment says you will do. If you don’t, then the Jobcentre can sanction you. I am unemployed at the moment and get Universal Credit. I missed a job interview last week because I was on a training course that the Jobcentre arranged for me. It was at the same time as the interview and it was impossible to get to both. The course was really useful. Hopefully it will help me get another job. I really want to improve my skills and get work. Gethin was sanctioned for missing a job interview and lost his Universal Credit for 31 days. He did not have the money to buy enough to eat, pay his bus fare to get home to see his mum or take his daughter out. No-one wants to be in Gethin’s position. So we will look at what Gethin could have done to avoid being sanctioned. But first we need to understand a bit more about how sanctions work. There are four levels of sanctions. The sanction you get depends on what conditions are in your Claimant Commitment and what the Jobcentre thinks you have failed to do. Your only condition is to attend or take part in a work focused interview, and you don’t do it. Missing an interview with an adviser at the Jobcentre. Refusing to take part in a training course or losing your place because you behaved badly. Not doing something else in your Claimant Commitment to get work or increase your earnings. Not taking all reasonable action to find paid work or increase your earnings. Not being available to start work or attend interviews. Losing a job because you behaved badly. Not applying for a job that the Jobcentre expected you to apply for. Not taking up a job that was offered to you. Losing pay if you are in paid work without a good reason. Have a look at these examples of why other people got sanctioned. I was waiting for the bus to take me to an interview with my Jobcentre adviser. The bus never came and so I missed the appointment. I was sanctioned and have lost my Universal Credit for four weeks. I claim jointly with my partner, so we still have his money. But it’s not enough for us to live on. I lost my place on a work programme because I was late twice – I have depression and mornings are a very difficult time for me – I just couldn’t get there on time. I was sanctioned and they have stopped my Universal Credit for four weeks. My Jobcentre adviser gave me a list of jobs to apply for. I applied for them all but the advisor didn’t believe me. I was sanctioned and have lost my Universal Credit for 13 weeks. The adviser warned me that if I did it again, I would lose my benefit for 26 weeks. I couldn’t go on a training scheme because it started before I could drop my children off at school. This is the second time this year this has happened. Last time I lost my Universal Credit for four weeks. This time they have stopped it for 13 weeks. So, if the Jobcentre accuses you of not turning up for a meeting, applying for a job, not attending an interview, not taking part in an employment or training scheme or not accepting a job that you have been offered, you might be sanctioned. How long do sanctions last? How long a sanction will last depends on a number of different things, like what level of sanction you have been given and whether you have been sanctioned before. According to the DWP the average length of time for a Universal Credit sanction is 31 days, although they can run for much longer than that. Some Universal Credit sanctions last until you comply with the thing you were sanctioned for. See Have you been sanctioned for the right length of time for more detail. Will my partner’s benefit be sanctioned too? Universal Credit is paid jointly when you live with a partner. If only one of you is sanctioned, the sanction will affect part of your benefit (not the part that applies to your partner), but as Universal Credit is your joint income the reduction in benefit will affect you both. If both you and your partner are sanctioned at the same time, and you are claiming Universal Credit jointly, you’ll see a bigger reduction. Make sure that you understand your Claimant Commitment and other ‘work-related responsibilities’. Make sure your Claimant Commitment reflects your circumstances. Avoid doing or not doing things that break your Claimant Commitment. Be really organised and keep records of your dealings with the Jobcentre and everything you do to meet the terms of your Claimant Commitment. Below we explain them in more detail. ‘Work-related requirements’ are things you might be asked to do to prepare for or get work. Mostly they will be set out in your Claimant Commitment. Your Claimant Commitment is a record of the things you have agreed to do in return for getting benefit. For example, attending meetings at the Jobcentre, applying for the jobs the Jobcentre adviser tells you to, attending interviews and taking any work within a certain distance from your home. If you don’t do these things or can’t prove that you have done them, you could get sanctioned. So, it is really important that you understand what the Jobcentre expects you to do. Don’t be afraid to ask your Jobcentre adviser to explain anything that is unclear. Read your Claimant Commitment, letters from the Jobcentre, or notes in your Universal Credit online journal carefully and as soon as you get them. If they contain mistakes or leave out something important, tell the Jobcentre straight away, in order to sort it out and avoid problems later. your ability to speak English or Welsh. If you don’t feel your Claimant Commitment is right, use your online journal or write a letter to the Jobcentre to explain how your everyday activities and your ability to be available for work are affected. If things change, for example, you get new caring responsibilities or your mental health condition gets worse, don’t be afraid to ask the Jobcentre to make changes to your Claimant Commitment. Remember, you can ask for a review of your Claimant Commitment at any time. If you don’t do the things that you agreed to in your Claimant Commitment you might lose benefit. And reasons for not being able to do something, or being late, that people understand in everyday life, might not cut it with the Jobcentre. The DWP say that the majority of Universal Credit sanctions are for missing an interview with your work coach. So, do everything you can to attend those meetings. Tell the Jobcentre as soon as possible if there is a problem with something they are expecting you to do, like going to an adviser interview – don’t leave it until the last minute! It is very easy to get upset and angry. But try and stay calm. Try your best to avoid being late. If your lateness is caused by problems with public transport, make sure you document it by keeping any transport receipts or tickets. If you can, call ahead or send a message using your online journal to let your Jobcentre adviser know you are running late. Take care when applying for jobs. Mistakes you make at this point, like, for example, not completing an application form correctly, can cause you problems later. Don’t leave your current job without ‘good reason’. Leaving because of unpaid wages, bullying, harassment or discrimination should be accepted as a good reason – but you may need evidence to support what you say. If you think you might need to leave a job tell the Jobcentre the reasons why in advance. You don’t just have to do what you agreed to do in your Claimant Commitment – you have to be able to prove that you did it. That’s why it is really important to be organised. Keep an accurate record of your job search and Find a Job activity. Take screenshots or photos if online. Keep copies and duplicates in case things get lost. Take screenshots or photos of messages you put on your Universal Credit online journal. Keep every email you get from potential employers about dates and times of job interviews and the result. Make sure you know how to find the call record in your mobile phone. Or if you get itemised phone bills, keep them. They can provide proof, if you need it, that you rang the Jobcentre on a particular day. Make a note about calls to the Jobcentre - who you spoke to, what time, and what was agreed. Keep anything the Jobcentre or training programme gives or sends you. So, how could Gethin have avoided his sanction? I have a job interview next week but the Jobcentre has arranged for me to go on a training course at the same time. I can’t be in two places at once. If Gethin keeps in touch with the Jobcentre and the training provider he should be able to sort things out and avoid a sanction. It may seem obvious that you have been asked to do something which is impossible, or that you are in the right, but unless you address the issue as soon as possible and explain it to the Jobcentre, you could be sanctioned. Make sure your Jobcentre adviser knows about your health problems. If possible, get a letter from your GP explaining them and give the Jobcentre a copy. Make sure your Jobcentre adviser knows what effect your health problems have on the work or training you can or cannot do. Make a note on your Universal Credit journal or upload a letter. Repeat what you told them including the name of the adviser you told and the date and time. Take a screenshot or photo of your journal in case you need to prove what you told the Jobcentre and when. Make sure your Claimant Commitment includes any difficulties you have with work or training. You may want to talk to your Jobcentre adviser about being referred for a work capability assessment. The outcome of the assessment could change what you are expected to do to get your Universal Credit. Make sure your Jobcentre adviser knows if you care for children or an older or disabled person, what benefits they get and how many hours you spend caring – it may mean that you don’t have any work-related conditions. Make sure your Jobcentre adviser knows what effect your caring responsibilities have on you. Make a note on your Universal Credit online journal, including the name of the adviser you told and the date and time. Take a screenshot or a photo in case you need to prove what you told the Jobcentre and when. Make sure your Claimant Commitment includes any limitations on the work or training you can do. How can Maya avoid being sanctioned? I am on tablets for my anxiety. I’ve got interview with my work coach this week at the Jobcentre, but I don’t think I can make it. I had a panic attack yesterday at the thought of having to travel there on my own. I just stayed indoors all day with the curtains shut. It’s hard when you experience anxiety, but if Maya does all she can to explain the situation to the Jobcentre, and to get her GP to confirm the situation, hopefully she will avoid a sanction. We hope this information will help you to avoid getting sanctioned in the first place. But if you have been sanctioned the next section will help you sort it out. If you are sanctioned and lose your benefit there are still things you can do. In the next sections we look at how to challenge a sanction and how to get by. Be aware! If you get sanctioned, keep signing on, applying for jobs, turning up for meetings and all the other things in your Claimant Commitment. If you can, do the thing you got sanctioned for not doing. Otherwise you could get sanctioned for longer. If you feel you have been sanctioned unfairly, you can challenge it. You may be able to challenge the length of the sanction or the decision to sanction you at all. Challenging a sanction can take time and energy that you may feel you haven’t got. But you may get a lot of benefit back. You can do all three. But it is usually best to start the process of asking the DWP to reconsider their decision (a Mandatory reconsideration) before or at the same time as making a complaint. If you think you might have been discriminated against get advice quickly, as there are time limits for taking a claim. Taking a case to court if you were discriminated against because of your disability. You may get less or no payment while you challenge a sanction. However you may be able to claim a hardship payment or other benefits. When you ask the DWP to look again at the decision to sanction you, this is called ‘mandatory reconsideration’. You have to do this before you can appeal. Below we outline the process to give you an overview of what it looks like. There is more detail on what to do in the sections that follow it. Step 1 - You got a notification telling you that you have been sanctioned. Step 2 - You can ask the DWP to look their decision to sanction you again. This is called a Mandatory Reconsideration. See How to ask the DWP for a Mandatory Reconsideration. The DWP will look at your reasons, and any other evidence they have, to see if they will change the decision. Step 3 – The DWP will send you two copies of their reconsideration decision. You will need the second copy if you wish to appeal. If their decision has been changed and you are happy with it, you can stop here. But if it hasn’t, don’t be put off. You have one month to ask for an appeal. Late appeals are allowed within 13 months if you have a good reason for the delay and can provide evidence to support it. More decisions are changed at the appeal stage than at mandatory reconsideration. Step 4 – Use the SSCS1 form (NOA1(SS) in Northern Ireland) to ask for an appeal. See How to fill in the appeal form. Step 5 – The DWP will send both you and the Her Majesty’s Courts and Tribunals Service (HMCTS), - who will organise the appeal hearing, an explanation of why they gave you the sanctions that they did. Don’t be put off by the size of it. Step 6 - You need to prepare for your appeal and, if you can, send in more information or evidence. Step 7 - You will be told the date of the hearing. If you have any further information or evidence that you haven’t yet sent, send it now. Step 8 - Your appeal will be heard by an independent judge. This is called the Social Security and Child Support Tribunal. You might also hear it referred to as the First Tier Tribunal. In Northern Ireland your appeal is heard by a Legally Qualified Member. They will make a new decision. See page What to expect at the hearing and What to do on the day for more information. This section aimed to give you an overview of what the process looks like. In the next section we set out how to go about it in more detail. You can ask the DWP to reconsider the decision to sanction you at any time if your Universal Credit is sanctioned. If the sanction relates to another benefit such as Employment and Support Allowance you need to act quickly – get advice. You can ask in writing, in your online journal if you have one, on the phone or in person. It is best to do it in writing if you can (and keep a copy) because that way you have proof. Look at the letter or the notification in your online account telling you about the sanction. It should tell you how to go about challenging the decision. It should also include the reason for your sanction, how long it will last and how much money is being stopped. If not, ask for that information. There may be more than one letter about the sanction so make sure you have all the information you need, and ask the Jobcentre for it if they haven’t supplied it. The Jobcentre says you failed to do something, but you did do it. You have a good reason for what you did or didn’t do. The Jobcentre didn’t explain to you properly what you had to do, or what would happen if you didn’t do it. You have been sanctioned for something you weren’t asked to do. You will need to send copies of evidence to support what you say. See Be organised and keep records. Try not to put it off. It doesn’t need to be long, and you don’t have to use the ‘right language’. We know it’s hard to know where to start so we’ve included an example below so that you can feel more confident about it. Having said that, if you do have access to a computer and can find the time now, it is helpful to write a detailed letter on the computer and keep a copy. This will mean you have the best chance of getting the decision changed at this stage, and you will be able to use the letter again if you have to ask for an appeal. If you have any more evidence that you think will help (for example, a letter from one of your doctors explaining how a condition affects you, or a receipt or ticket which shows your whereabouts at a certain time) send that too. I am writing to ask you to reconsider your decision dated (put the date on your letter or notice) about a sanction of my Universal Credit claim. Thank you for reconsidering the decision. Reasons checklist - why do you think the decision to sanction you was wrong? Are your work-related requirements reasonable, taking into account your situation? Did you understand what you do had to do and the consequences of not doing it? This should be set out in your Claimant Commitment or in writing, for example in your online journal. Are the facts correct - did you do or not do what the Jobcentre said? If not, did you have a good reason? For example, illness, a job offer, a bereavement, family or childcare issues, domestic violence, or homelessness. Was the sanction the right length of sanction? If you could stop the sanction by complying, were you told what you needed to do? You should also consider making a complaint if you weren’t told what you needed to do and this means your sanction will last for longer. For most benefits there is a time limit of one month to request a mandatory reconsideration. If you miss the deadline you may still be able to ask for a mandatory reconsideration. For Universal Credit you can still ask for a mandatory reconsideration as long as it is within 13 months of the original decision and you have a good reason. Once the DWP has made their decision you will get a notice telling you the result. If you have not heard back after six weeks, you should ring them and find out what is happening. If they have changed their minds, congratulations! You will get some money back and your benefit will be restored to what it was before the sanction. If your Claimant Commitment was not reasonable it can be changed to better reflect your circumstances, for example, a mental health issue. If they didn't change their decision remember that you can appeal. You need to tell them within one month. If one month has already passed you can still ask for an appeal if you have good reasons for the delay, but they do sometimes say no. Your request will only definitely not be accepted if 13 months have passed since you were sent the mandatory reconsideration decision. If you don’t get the result you want with your mandatory reconsideration it is a good idea to keep going and appeal. This is because many cases which are turned down at the mandatory reconsideration stage are successful at appeal. Make sure you don’t miss the deadline if you can possibly avoid it. If you are waiting for any letters or reports that you want the tribunal to see, you can mention these in the appeal form and say you will send them in as soon as you get them. Don’t delay sending the form in because you are waiting for these. You cannot appeal the decision to sanction you until you have asked the DWP for a ‘mandatory reconsideration’. If you have done this and you are not happy with their answer, you can challenge it. You do this by appealing to an independent tribunal called the First Tier tribunal. This is part of the Court Service (HMCTS). It is nothing to do with the DWP. You need to use the form SSCS1 to ask for an appeal. You can download the form from the HMCTS website. In Northern Ireland you use form NOA1(SS). Although the information in this section will be useful if you are based in Northern Ireland, the process is slightly different than set out here. See appeal form NOA1(SS). For some benefits, but not Universal Credit, you can submit your appeal online. But we would recommend that you still attend the hearing. In section 2, give your name, contact details, date of birth and National Insurance number and include the date of the decision you are appealing (this is the date on the letter they sent you). If you are informally helping the claimant with their appeal, put their details here, but if you have been appointed to formally look after their benefits you put your details here, and theirs in section 3. If you didn’t keep a copy of your mandatory reconsideration request letter see our reasons checklist. You also need to confirm if your appeal is within the time limit or not. If it isn’t, explain why the delay was unavoidable. For example, because you have been particularly unwell, or had to wait for help to fill in the form. If you are short of time, you could keep your reasons for appeal brief so that your appeal isn’t late. And then send more detailed reasons by email. In section 6 you have to choose whether you want to attend a hearing or whether you want the case to be decided on the papers alone. Almost everybody wants to choose the paper hearing because it seems less scary. However, you are more likely to win if you go and speak to them face-to-face. It gives them a chance to meet you and ask questions. Don’t worry, the hearing won’t be nearly as frightening as you might think. Section 7 asks about your needs for the hearing. If you have a certain disability or mental health problem (for example anxiety) that makes going to the hearing very difficult, you can ask to instead have the hearing at home or by telephone. If you are in this situation get advice. First it asks if there are any times in the next six months that you won’t be available to go to the hearing. It’s probably best to keep this simple and only ask them to avoid dates that you really can’t rearrange. Question 4 asks if you are you willing to be given a date for the hearing at short notice. You should get at least 14 days’ notice of the hearing, unless you agree to accept less. It is up to you whether you do this. (Bear in mind that it will be harder to get a representative to come with you if you have less than 14 days’ notice.) If you say that you do not need 14 days’ notice, make sure you get all the evidence you need ASAP. Send the form to HMCTS (the address is on the last page of the form). If you can, keep a photocopy, or take a picture on your phone. If you have not already tried to get help and advice do so now (See How to find an adviser). Some advisers may be able to help do some of this preparation for you. If you are lucky enough to find someone who can help with the preparation, make sure you are clear which things your adviser is going to do for you, and which you need to do yourself. Usually you won't get told the date of the hearing until 2-3 weeks before. Although you should be given at least 14 days’ notice (unless you agreed to less on the form). You can phone the tribunal centre dealing with your appeal and ask them when your hearing will. They will be able to give you a rough idea. Online and other support groups can sometimes be very helpful. There may be other people who have been in the same situation, who can give you emotional or practical help. Look at the papers that you were sent by the DWP explaining why they made the decision they did. If it is very big or includes examples of test cases at the beginning, don’t let that put you off. If you don’t have time to become an expert on all the legal ins and outs of sanctions decisions, ignore these. The most important parts are the bits about why the decision to sanction you was made. Read through it and look for anything you don't agree with. Make a note of all the things that are wrong. If you can, say why you don’t agree with them or why they are wrong. You can include this in a statement to the tribunal - see below for more information on statements. Also think about how you could get further evidence (from your doctor if you were ill for example) that would give a fairer picture. Check also that everything you want the tribunal to read is in the papers. If anything is missing, send in a copy before the hearing. If it isn’t included in these papers from the DWP, the appeal judge won’t see it unless you send it in. You need to get evidence to prove what you say. What evidence you will need will depend on what your sanction is for. For example, if you were sanctioned for failing to do something in your Claimant Commitment, but your Claimant Commitment didn’t reflect a health problem or caring responsibility which meant you were unable to do that activity, you would need evidence to show that you had asked for a review of your Claimant Commitment. You may need evidence to show that you did or did not carry out a particular activity. Or evidence to show that you had a good reason for doing or not doing something. For example, if you were ill, who knew about it and can support your version of events. So consider asking your GP, another health professional, your carer or a friend for a supporting letter. Think about what evidence you already have. Do you have reports of physiotherapy, occupational health, or psychological assessments? Do you have copies of letters that the different doctors and therapists have sent to each other? Do you have letters inviting you to training and interviews at the same time? Do you have receipts, tickets, confirmation emails that show where you were or what you did? This type of evidence is likely to be very helpful. Does your phone have a record of calls made and how you tried to ring the Jobcentre to tell them you couldn’t make it or were going to be late? If you (or someone who could help you) are good with writing, you should think about writing a statement, because this counts as evidence too. A statement can be very useful as they set out all the points you want to make, which means that you don't have to remember everything to say on the day. They also give the judge time to think about what you’ve said before they meet you. If you can, send it in in advance. On the left, is information to help you write your statement to the tribunal. It tells you all the things you should try to put in your statement and how to begin. You don’t need to fill in every box, only the ones which are relevant to you. On the right is the statement Carys’s statement. We have included it to give you an example of what a statement might look like. Explain why you are writing. I am writing to explain my reason for appealing the decision to sanction my Universal Credit. Tell them what you were sanctioned for My sanction notification said the DWP were sanctioning me for failing to attend a work programme. If the DWP said you failed to do something, explain how you did it. I did not fail to attend the work programme. In fact I attended four sessions. If you had a good reason for not doing something, explain what it is. If your good reason is health related explain how your condition or disability affects you. If your reason for doing something was that it hadn’t been explained to you properly, say so. However, I was late for two sessions and as a result I lost my place. I had a good reason for being late. The work programme sessions were in the morning. My depression means I feel very lethargic and foggy in the mornings. I often struggle to get up, to get washed and dressed and to get out the house. I feel depressed every day. I tried very hard to get to the work programme on time. But my work coach didn’t explain that if I was late I would lose my place. If you were sanctioned for something that wasn’t in your Claimant Commitment, explain what it is. If your Claimant Commitment didn’t reflect the things that reduce or change your availability for work or certain types of work, explain why. Remember to say everything – even things that you find embarrassing. It will be a lot easier to write it down than to say it in the hearing. My depression means that working in the morning, and doing work-related activity in the morning is extremely difficult for me. My ability to go to meetings, interviews and training on time and without fail is compromised by the severity of my depression. The stress of being without benefits is making my depression worse. I believe that my Claimant Commitment should have reflected my depression and not included activity that takes place first thing in the morning. The letter from my mental health worker, Anne Neale, confirms my depression and the difficulties I have with morning appointments. The print outs of my Google timeline shows that I was at the address of the work programme on time on four occasions, and late on two others. If you disagree with anything else in the papers from the DWP, you need to tell them what was wrong and why this isn't right. When you have finished writing the statement, read it back through more than once. Does it say everything it would be helpful to say? Read all the evidence through - does it support your case? If it doesn't, you don't have to send it to the tribunal (but if they ask if you had any evidence you didn't send them, you have to tell the truth). If you don't think the evidence is useful it may be worth going back to the person who wrote it and discussing it with them. Is there anything they can add? If you've got useful evidence on your computer or phone, you need to get it on to paper (local libraries often has printing facilities), or if it is already on paper, photocopy it, and send it into the HM Courts and Tribunal Service before your hearing. Try to keep your evidence organised and neat. Ideally, send it at least a week in advance. On the day of your hearing, take your copies with you, and ask the tribunal to confirm that they have received them. It is best not to take your children to the hearing with you. In fact, if they are with you, they will usually not be allowed into the hearing. If it will cost you, get a note from the carer/childminder confirming their rate – you will be able to reclaim expenses up to the National Minimum Wage. The tribunal clerk will help you fill in a claim form when you go to the hearing. Make sure you take receipts for your travel and lunch. 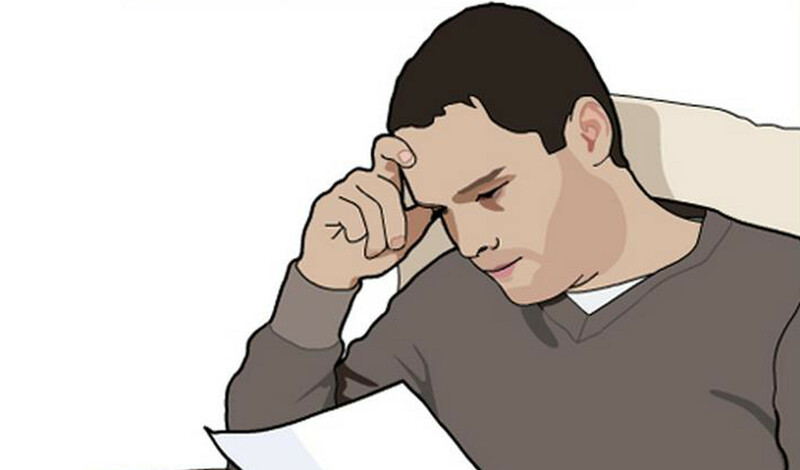 If you have lost earnings, make sure you have a letter from your employer confirming this. This is really useful and also stops the hearing or the preparation for it from getting too stressful. Every time you think of something they got wrong, make a quick note of it. Remember to take these notes with you to the hearing so that you can tick them off as you say them. Be prepared to answer the judge’s questions first – you won’t necessarily get to say everything you want to say in order. But you should be asked if you want to add anything at the end. In some areas, hearings are often postponed. This might be because the judge is unexpectedly not available to hear your appeal. Hopefully this won't happen to you, but it is possible that you will arrive to find that you have had a wasted journey. At other times appeals are delayed in order to get more evidence. This can be frustrating, but it is often better in the long run as the tribunal will have more information to base their decision on. You can go alone, take a friend or family member with you for moral support or a representative. When you arrive at the tribunal centre you will usually be shown into a waiting room. You might have to wait here for a little while. When the judge is ready for you, you will be called into the room. Sometimes the tribunal will decide the case in your favour just on the evidence, statement, or your explanation on the appeal form. If this happens they may ring you the day before the hearing or tell you when you arrive so the hearing won’t need to go ahead. When you go into the room (it looks like a big, empty office) there will be a big table in front of you. You (and anyone who goes with you) will sit at one side of the table and the judge will sit on the other side. They should introduce themselves and explain what will happen. Usually the judge will be nice and easy to talk to. However, you might be very unlucky and get a hostile judge, or just one having a bad day. If this happens, try to keep calm. Don't take it personally. Stick to what you wanted to say, and answer their questions fully. It is ok to tell them that you feel they are acting a bit aggressively – they might not realise that it is upsetting you, and they might stop if you tell them. The DWP has a right to send somebody to your appeal to explain why they made their decision. Don't worry about this though. If they do send someone, they are usually very nice and non-confrontational. It will not be the person that made the original decision about your sanction. The judge will usually make the decision that day. You will be asked to go to the waiting room while the judge decides your case. This usually takes between 10-30 minutes. You will then be asked back into the room and told the decision. They will give you a written outline of their decision as well. In Northern Ireland, you are not usually told the decision on the day. You normally have to wait for a letter telling you the outcome. Sometimes the judge will not be able to make a decision quickly. If this happens, they will post it to you instead. It should arrive within a week. If your appeal is decided without you in these circumstances, and you are not happy with the outcome, get advice in case there is anything else you can do. If you have any new evidence that you think will be useful that you haven't al-ready sent in, take that and hand it in when you arrive. Receipts for your travel and lunch, a letter from your employer if you have lost earnings, and proof of childcare costs if you have had to pay for childcare. If you think it might help, ask a friend or family member to come with you for emotional support. They might also be able to help by reminding you of things you have forgotten. If you take a friend show them ‘For friends or relatives’ below. The judge may be running late and so you might have to wait. If you have made any notes of what you want to say, go over them. Try to keep calm. Have a snack in your bag in case you get hungry. There will usually be water available. If they say something that isn’t right, make it clear that it is not true. Try to make sure you don’t make light of any difficulties you have or exaggerate them. Before the hearing, sit down with your friend and write a list of everything they want to say. Take it with you on the day and tick them off as they are said. If at the end of the hearing there are still things that haven't been said - you can remind them. The tribunal will tell the DWP their decision and you’ll get an official notice of the decision. If you were successful, the DWP will work out how much they owe you. You will usually receive your money in about 4 - 6 weeks. The DWP has the right to appeal to the Upper Tribunal if they think the tribunal judge did something wrong. They may ask the tribunal for a ‘statement of reasons’ which explains why the tribunal made the decision it did. If the DWP thinks there was an ‘error of law’ it can ask for permission to appeal. It is rare that the DWP appeals a decision, but the time it takes to get the ‘statement of reasons’ can delay you getting your money. If it does happen, they will write and tell you. If you weren't successful, you will be sent a leaflet to explain your options. Sometimes you might be able to appeal to the Upper Tribunal. This is like a higher court. However, this can only be done if the judge did something wrong with the law. It is very complicated, and very few people can do this without an experienced adviser. If you want to look into this possibility, you need to move quickly - you will need to ask for a copy of the tribunal’s ‘statement of reasons’ within one month. See How to find an adviser. You can complain to the Jobcentre and your Member of Parliament (MP). You can complain about the service you have received from the DWP by writing to the Jobcentre. For example, you can complain if you were sanctioned without being given the chance to explain your version of events or if the DWP failed to take into account a health condition when setting your work-related requirements. For more information on how to complain see Complaining about the service you've received - benefits and tax credits from Citizens Advice. If you are sanctioned or threatened with a sanction unfairly, you can complain to your MP. Write to their office and send a copy of the letter to the Jobcentre dealing with your case. The Jobcentre may take your complaint more seriously when they see that you have involved your MP. Ask your local CAB or other advice service if you need help to write this letter. Discriminated against because of your disability? Did you have a good reason for doing or not doing the thing you were sanctioned for? Was that reason to do with your disability (or other protected characteristic)? Or was your Claimant Commitment unreasonable given your health condition or disability? If yes, you might be able to make the case that the DWP was discriminating against you. See Disability discrimination and welfare benefits from Citizens Advice for more information. If you think this might have happened to you – get advice as soon as you can as there are time limits for making a claim. You can also make a complaint at the same time. I couldn’t buy food, electricity etc. No warning. Massively added to my mental health stress. It’s hard enough getting by financially on benefits, and really tough when you get sanctioned. But there may be other benefits and entitlements that you can get that might help a bit. You may be entitled to other benefits so check your entitlement with an advice agency or an online benefit calculator, such as the one provided by Turn2us. Make sure you claim as soon as possible. If you have been sanctioned you may be entitled to a hardship payment and may still be entitled to help with your housing costs. Hardship means severe suffering or lacking the essentials of life (food, clothes, heating and accommodation). To claim a payment you need to call the Universal Credit helpline to get an appointment for an interview. If you are on other benefits, complete a hardship provision claim form to apply. You get this form from the Jobcentre. At the interview (or on the form) give as much evidence of your circumstances as you can, for example, a note from your doctor or a repeat prescription to show your medical condition, award notices, and bank or building society statements. For more information on hardship payments see: What is a hardship payment? If you live in England you may be able to get an emergency payment from your local council. Contact your council or check their website for information about this. If you live in Wales you may be able to get an emergency payment from the Discretionary Assistance Fund for Wales. If you live in Scotland you might be able to get a crisis payment from the Scottish Welfare Fund. If you live in Northern Ireland you may be able to get an emergency payment from the Financial Support Service. You can also find out about local emergency payments on the Advicelocal website. Put in your postcode and select ‘Welfare benefits’. Scroll down the page to ‘What other help is available?’ to find links to local help. The Jobcentre only tells the council that your benefit has ended, not that you have been sanctioned. So the council may stop paying benefits and you risk getting into arrears. Try and prevent this by telling your council as soon as you are sanctioned. Take them proof of the sanction and your changed income. Do you have any bills that you don’t have to pay immediately? Can you reduce any regular payments to the minimum needed without causing a problem? Do you have any direct debits? If so, are there any you can stop without causing a problem? If you are worried about any of this, get some advice first. You can call the Money Advice Service for just the cost of the call on 0800 138 7777 or go to their website. Think about talking to your landlord if you cannot pay all your rent. Explain the situation to them. If you are worried about doing this, get some advice first. Talk to your bank. If you have no money in your account you may need to tell them not to pay things like direct debits or standing orders to avoid bank charges. Do you owe anyone money? If so, think about talking to them and explaining your situation. If possible, ask them if they will wait a bit longer before they get it back. Do your children already get free school meals? If not, ask their school to help you apply for them. Be very careful before you take on more debt. There are cheaper, less risky alternatives to a payday loan. For more information go to the Money Advice Service website. Think about telling your family and friends what has happened. They cannot help you if they don’t know. There are more than 400 food banks in the UK. You will need a food bank voucher to get food. Doctors, health visitors, social workers, council and housing association landlords, CAB advisers and the police can issue food bank vouchers. Some charitable funds give grants to people in an emergency or crisis. Often these are charities who help people who have worked or still work in certain careers, hospitality or retail. Turn2us is a free service that helps people find charitable funds that may be able to help them. You can find more information on their website. Many of the companies that provide our water and sewage services, like Yorkshire Water or Welsh Water, have charities linked to them that sometimes help people who cannot pay their water bill. Contact your water company to find out if they can help you. Many gas and electricity providers have charities linked to them that sometimes help people who cannot pay their energy bills, for example, The British Gas Energy Trust. Contact them and your own energy company to find out if they can help you. Some faith and community groups run their own food banks, provide hot meals for people in need and provide small emergency grants. Ask your local advice service for a referral to these. If you are in a credit union and have a secured loan, you may be able to access the savings that usually guarantee such loans. Your request is more likely to be successful if someone like an advice worker writes to the committee confirming the urgency of the situation. I got a note on my Universal Credit journal from the Department for Work and Pensions. They have stopped my Universal Credit for 7 days. I was supposed to have a meeting with an adviser last Monday but it was at the same time as I had my appointment at the community mental health clinic. I phoned the Jobcentre and explained the position, so we changed it to this Thursday. Now they say we changed it to last Thursday. I’m so angry; I know it was this Thursday as I wrote it on my calendar. I also emailed my son’s school telling them that someone else would be collecting him on that day and why. I don’t know what to do. I only have £9 left! What are we going to live on? How am I going to pay the rent? Tamsyn has been sanctioned. What can she do? 1. Ask the Department for Work and Pensions to reconsider the decision to sanction her. Tamsyn needs to start the process of getting someone to change the decision as soon as possible – so the first step is to ask Department for Work and Pensions to reconsider the decision. A sanction can trigger the loss of council tax reduction. If this happens it will add to the problems already caused by the sanction. She is also going to need some money – soon – so applying for a hardship payment is the next step. However realistically, with only £9 to her name she may also need to ask a friend for help. Tamsyn’s MP may be able to make a difference so it is worth complaining to them as soon as possible. Finally, Tamsyn can’t appeal until she knows the result of the reconsideration, So it is something she may do later but cannot do immediately. In practice you would probably do the first four things on this list all at the same time. 2. If Tamsyn gets council tax reduction she should contact the council and tell them she has been sanctioned and ask them what she needs to do to make sure these benefits continue. 3. Rearrange the interview so that she doesn’t get sanctioned for even longer. 4. Apply for a hardship payment. 5. Borrow some money from a friend. 6. Complain to her MP. ask them to keep your name on a waiting list, or to tell you how long before they might be taking on new clients. Ask if they know any other organisations you should contact for help if they cannot give you an appointment themselves. Remember that appeals take quite a long time (6 -12 months, depending on where you are in the country) so you do have a bit of time to find an organisation which might be able to help you prepare for the appeal tribunal. It is now much harder to find advice and help with your benefits than it used to be. But it is worth trying to see if you can get a bit of help to work out if you were sanctioned fairly, or to check what other benefits and entitlements you may be able to get. A few agencies may even be able to help you ask for a mandatory reconsideration, complete your appeal form, or even come with you on the day. So it is worth ringing round a few to check what help is available. Start by looking to see if there is a Citizen’s Advice Bureau (CAB) that helps with benefits problems near you. Many now offer advice over the telephone. You can see if there is an independent advice agency in your area on Advice UK’s site. In Northern Ireland visit Advice NI. Check if your local council has a welfare rights service. In some cases they will be able to represent you. Phone the council and ask for ‘welfare rights’, check their website, or ask in your local library. Where these still do exist, they are often very good. Law Centres employ solicitors and caseworkers specialising in social welfare law including discrimination. They provide free advice, representation, and education on legal rights. Check if there is a Law Centre near you. There are sometimes services that you can access through your GP, social worker, community mental health worker, or community centre. There's no harm in asking - so if you have one, call, and ask if there is a service for you. Some charities provide advice services for particular groups - for example, the Disability Law Service offers advice to disabled people. Similarly, Gingerbread has an advice line for single parents. And the Royal British Legion offers support to members of the armed services and veterans. Check if there is a charity that provides benefits advice to people in your circumstances or with your illness or disability. If you’ve nowhere else to turn, try your MP. They often have a caseworker who is not usually an expert on benefits but they will often be familiar with the problem and might well be able to help you. Appeal - This means a judge (or in Northern Ireland a legally qualified member) who does not work for the DWP or DfC will look at your claim and see if the right decision was made. If they think the wrong decision was made, they will change it. Benefits adviser - This is a benefit expert who can give you advice about your sanction. They may also be able to help you prepare for the hearing or even represent you. Clerk to the Tribunal - This is the person who organises the hearing and deals with the paperwork. Claimant Commitment - to get Universal Credit you have to carry out certain work-related activities which are set out in your ‘Claimant Commitment’. Department for Work and Pensions (DWP) - This is the government department that deals with most benefits and runs Jobcentres. Department for Communities (DfC) – This is the government department in Northern Ireland that deals with most benefits and runs Jobcentres. Error of law – where a decision was wrong because of a mistake in applying or interpreting the law. Find a Job – the government’s online job site. Hearing - This is when your appeal is looked at by the Tribunal. You can either have a hearing in person (also called an ‘oral hearing’) when you go and speak to the Tribunal face to face. Or you can have a written hearing (also called a ‘paper hearing’) when the tribunal just look at the papers again on their own. We strongly advise you to go to a hearing in person. You have a better chance of success if you do. Her Majesty’s Courts and Tribunal Service (HMCTS) - This is the government department that organises the tribunal judge and the hearing. In Northern Ireland it is the Northern Ireland Courts and Tribunal Service (NICTS). Jobcentre adviser / work coach – A member of staff at the Jobcentre who you will meet regularly as part of your benefits claim, including setting your Claimant Commitment. Mandatory reconsideration - This means the DWP will look at their decision again. You must ask for a mandatory reconsideration before you can appeal a decision. Northern Ireland Courts and Tribunal Service (NICTS) - This is the government department in Northern Ireland that organises the legally qualified member and the hearing. NOA1(SS) - This is the form you must use to ask for an appeal if you claim benefits in Northern Ireland. Online journal – Part of your online Universal Credit account where you can send and receive messages from your work coach and keep a record of what you’ve done. Protected characteristics – personal characteristics which mean you are protected by discrimination laws. Representative - This is an expert in benefits who might help you prepare for the hearing, gather evidence for the appeal, write to the tribunal and may be able to will come with you to help you put your case. Sanction - A benefit sanction is what the DWP and Jobcentre calls it when they reduce or stop your benefit payment for a period of time. This might be because they decide, for example, you are not actively seeking work, you missed a work-focused interview, or some other reason. Screenshot – also called a screen capture or screen grab – when you take an image of what is shown on the screen on your phone, tablet or computer. Social Security and Child Support Tribunal - This is the name for the body, which is separate from the DWP who will hear your appeal to see if the DWP made the right decision. Statement of reasons - If the DWP is thinking about appealing against a tribunal decision, they must ask the tribunal for full written reasons for the decision. Upper Tribunal - This is like a higher court. If you weren't successful in your appeal, you might be able to appeal to the Upper Tribunal, but you can only do this if the judge made a mistake with the law. Work Capability Assessment - This is the process by which the DWP assess whether you have limited capability to work or limited capability for work-related activity, and are therefore entitled to Employment Support Allowance or the limited capability for work element of Universal Credit. Work focused interview – A meeting with a Jobcentre adviser or work coach to help move into work, which looks at what you can do and what support you might need. Work-related conditions / requirements – These are the activities that the DWP believe will help you be able to have a job in the future. If you are in either the limited capability for work (LCW) group on Universal Credit or the Work-related activity group on ESA you need to do the work-related activity you have agreed with the DWP to continue receiving the benefit. Work-related activity consist of meeting regularly with an adviser at the Jobcentre, going to occasional training courses, and doing various tasks that the DWP say will make you more able to get a job later. The information in this guide applies to England, Wales and Scotland. It will also be useful for people in Northern Ireland, although there are some differences to names and processes. The law is complicated. We have simplified things in this guide. Please don’t rely on this guide as a complete statement of the law. We recommend you try and get advice from the sources we have suggested. This guide was written and produced by Advicenow with funding from National Lottery Community Fund. Advicenow would like to thank all those who provided advice and feedback on this guide, particularly Will Hadwen, contributor to CPAG Welfare Benefits and Tax Credits handbook, Sabine Isaac and Melissa Markwell of the Royal British Legion, Greg Voiels from the Wolverhampton Welfare Rights Service (City of Wolverhampton Council), Katy Watts and Matt Ahluwalia of Public Law Project, and Amira Asghar. We are always trying to improve our service. If you have any comments on what you like or don’t like about this guide please visit our Feedback page.